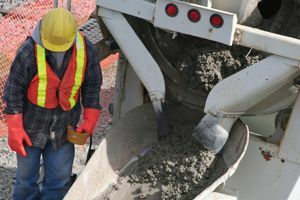 Where do you need Concrete Contractors? Four Seasons Lawn & Garden, Inc. Comment: 9' x 4' slab of sidewalk that is raised up and needs to be repaired or replaced. Comment: I am interested in having a stamped side walk put in as well as 2 concrete pads. One pad will be 12 x 18 and the other approx.16 x 16. Comment: Need flower beds in pool area filled with concrete little over 2 yards. All Pool & Deck Renovations, Inc.
Valrico Concrete Contractors are rated 4.68 out of 5 based on 656 reviews of 32 pros. Not Looking for Concrete Contractors in Valrico, FL?